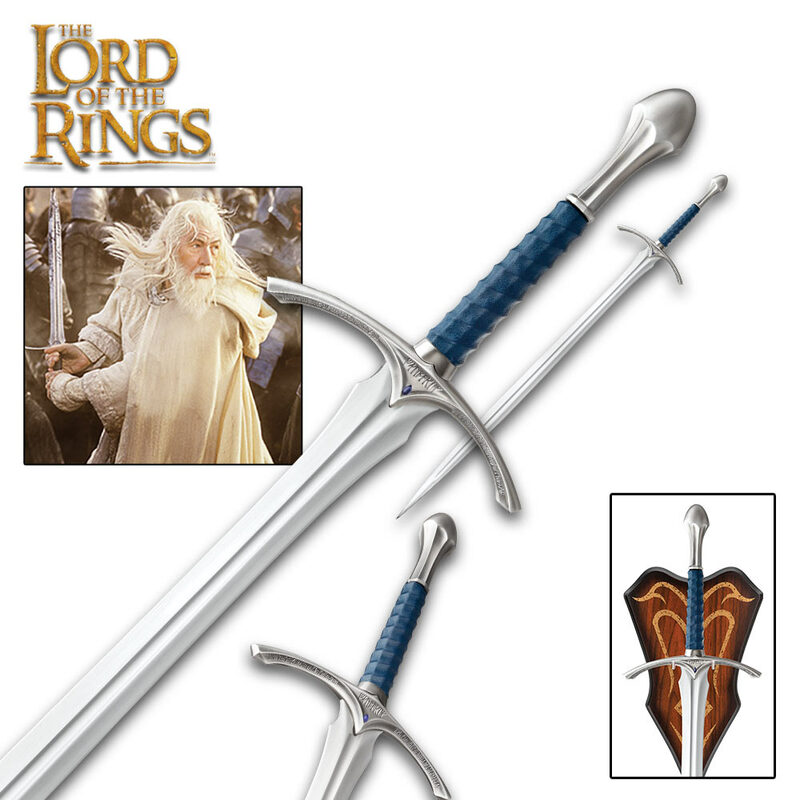 The Lord of the Rings Glamdring Sword | BUDK.com - Knives & Swords At The Lowest Prices! 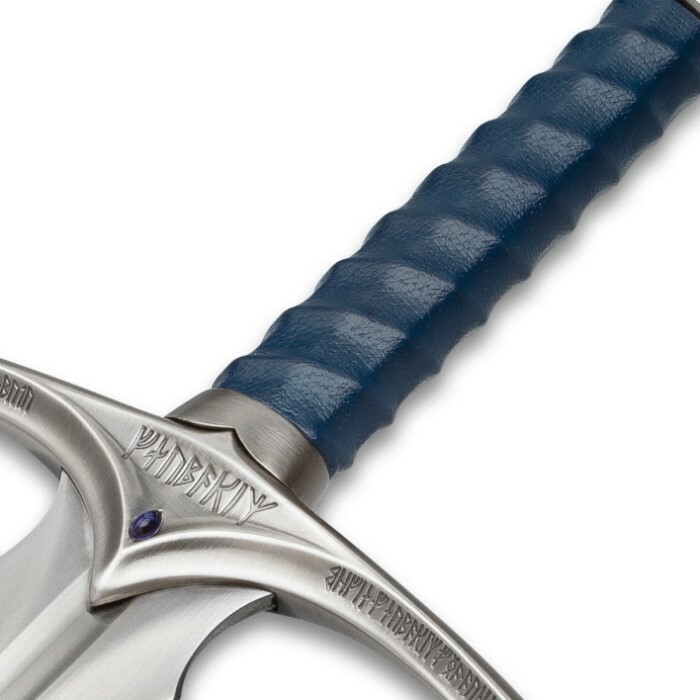 This replica of Glamdring Sword from The Lords of the Rings trilogy measures 47 5/8" and has a 35 1/4" blade of 420 stainless steel inscribed with Elven runes that say the sword was forged for Turgon, the King of Gondolin. 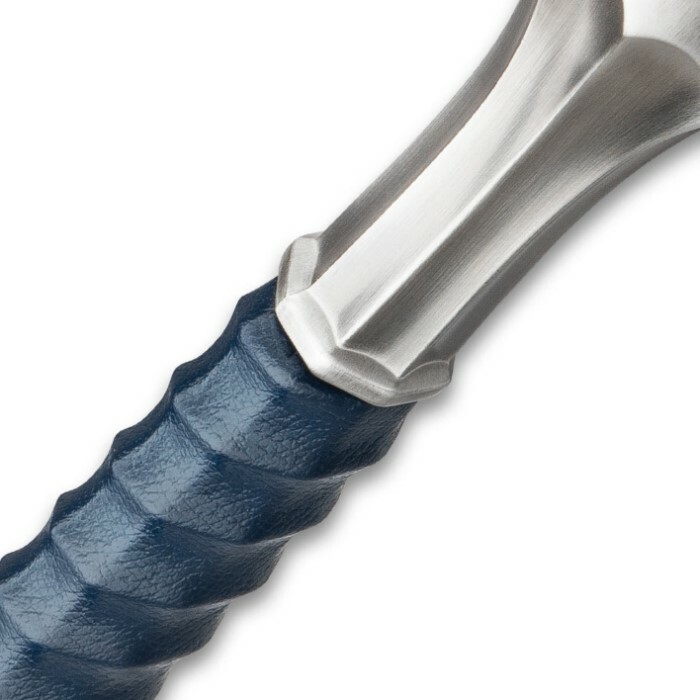 The hilt features a solid metal cross guard and pommel with antique metal finish and genuine leather wrapped grip. 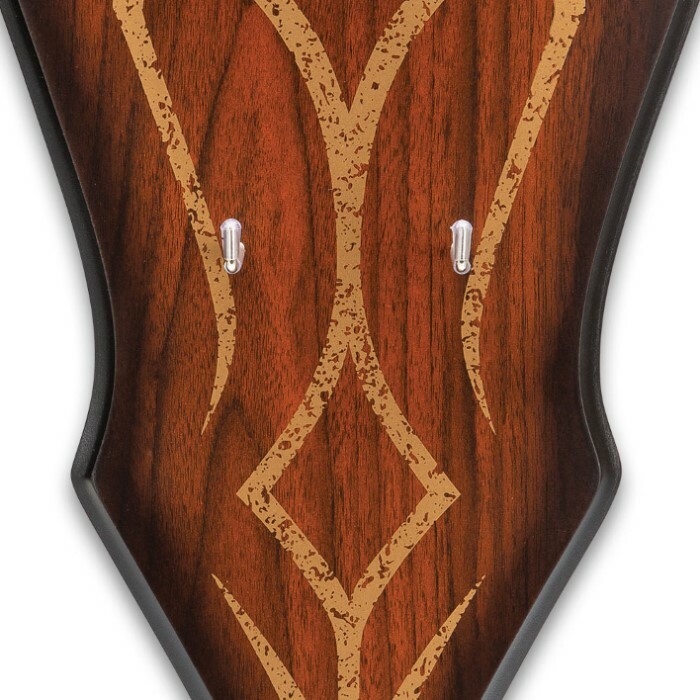 This item includes a wall display plaque with wood grain finish and silkscreen design. This sword is really beautiful. I've got no complaints about this sword except that the box is misleading. On the box the grip on the sword is blue but the grip on the sword itself is black. Other than that I love it. Woah... this is the best thing i have ever laid eyes on. Absolutely amazing in every way. It is quite heavy but that just adds the awesomeness. AMAZING sword. great job! Just pure amazing, this sword is one of the best swords I have ever seen and without a doubt the best one I own. The steel is strong, the handle is beautifully crafted and is overall just amazing!!!! This sword is AWESOME! Beautiful and just perfect in every way. I didn't think I could love something as much as the Anduril sword I got a few weeks ago but this sword is just as nice. This one is a little shorter and lighter as well which makes it easily to swing around so I think this one would be my #1 favorite. If you are a LOTR fan, this is a MUST buy. No possible way you will be disappointed. I could not possibly be more pleased with this purchase! 5 stars and then some for true swords on this sword!!! 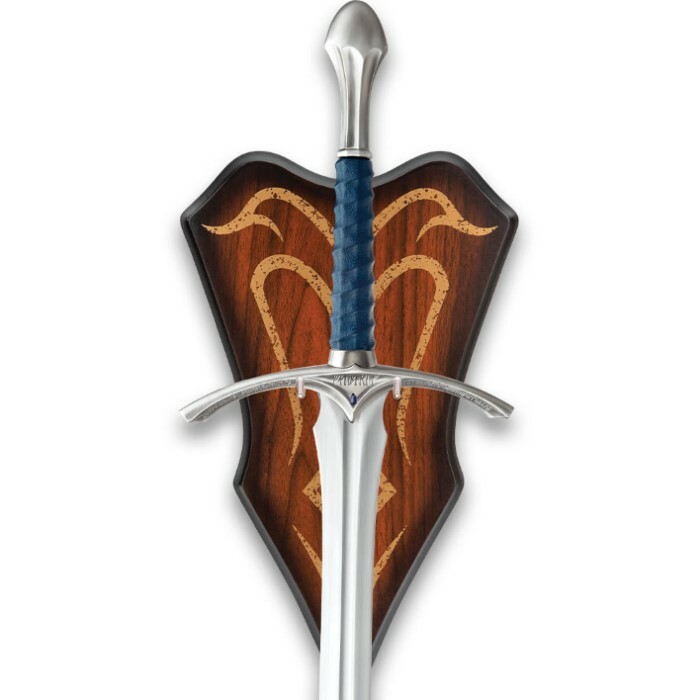 I wrote a review earlier this year about how great the Anduril sword is. I have since then added this sword to my collection. I have to say that this sword has the same beautiful craftsmanship as the others. it's another masterpiece.